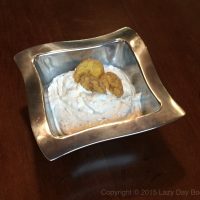 I’m going a little off topic today, but, to bring this back around to books, you would be your book club’s hero if you showed up to the next meeting with this dip. Last year, my husband and I went to Tanta, a Peruvian restaurant here in Chicago and they served us a wonderful dip with fresh plantain chips. We asked the chef for the ingredients and then set out to recreate the recipe at home. This recipe uses two of our favorite Peruvian ingredients – Huacatay and Aji Amarillo. Labor Day weekend is coming up and if you’re anything like me, you might be looking for some new recipes to share with your friends over the weekend. 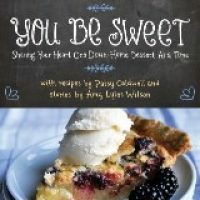 So, to help you out, we’re giving away an ebook copy of You Be Sweet: Sharing Your Heart One Down-Home Dessert At A Time by Patsy Caldwell and Amy Lyles Wilson. Click the blog title for all the details!